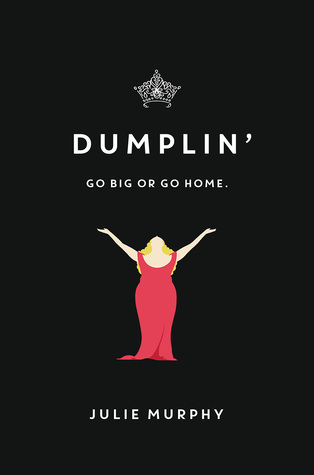 Willowdean Dickson, the protagonist of Dumplin', met her best friend Ellen because of Dolly Parton, back when they were kids. Will's aunt Lucy - a Dolly Parton devotee - bonded with Ellen's mom, Mrs. Dryver - a Dolly Parton impersonator - and now Dolly Parton is like the connective tissue of their friendship. Even Will's car is reflective of this theme: it's a 1998 cherry-red Pontiac Grand Prix named Jolene. The book begins with a Dolly Parton quote and describes Will to a T: "Find out who you are and do it on purpose." Will lives her life confidently and fearlessly. Will lives with her mom, a health care aide by day who is devoted to running and organizing the Miss Teen Blue Bonnet Pageant every year, which has been running since the 1930s. Will's aunt Lucy - her mom's sister - used to live with them, too, but now her room is being cleaned out and Will feels lost without her favourite person in the house. Will works at a local fast food restaurant called Harpy's, and her classmates crowd in most weekend nights just before midnight to order fries and burgers. She works with Bo, the incredibly attractive guy in the back kitchen. She reflects, "I've had this hideous crush on Bo since the first time we met. His unsettled brown hair swirls into a perfect mess at the top of his head. And he looks ridiculous in his red and white uniform. Like a bear in a tutu." This summer, Bo kisses her outside of the restaurant one night, and they spend the next few months secretly driving to an abandoned parking lot to make out. But Will is increasingly uncomfortable with the way that Bo is keeping her a secret. And Will, who describes herself as a fat girl, hates the feeling of his hands on her body, afraid that he can feel her skin spilling over the sides of her clothing. She breaks it off, and eventually quits her job at Harpy's to cross the street to get a job at the local chilli place. Fast forward to the beginning of the school year, and Will finds out that Bo has left his private school and now attends her public school, and this time, Will's not the only person who is interested in him. When she decides to enter into the Miss Teen Blue Bonnet Pageant, her friendship with Ellen begins to change, and she finds herself more alone than she has ever been before. Enter three other girls who are inspired to enter the pageant alongside Will - Millie ("Millie is that girl, the one I am ashamed to admit that I've spent my whole life looking at and thinking, Things could be worse"); Amanda; and Hannah. They become a group worth rooting for as acclaimed author Julie Murphy weaves an incredibly funny, real, and fabulous story with a heaping scoop of romance.